Betsy Rives launched into an MFA program only a year after graduating from Wake. After time in DC and New York, Betsy took the advice of a mentor from Scales' art faculty and moved to Los Angeles. 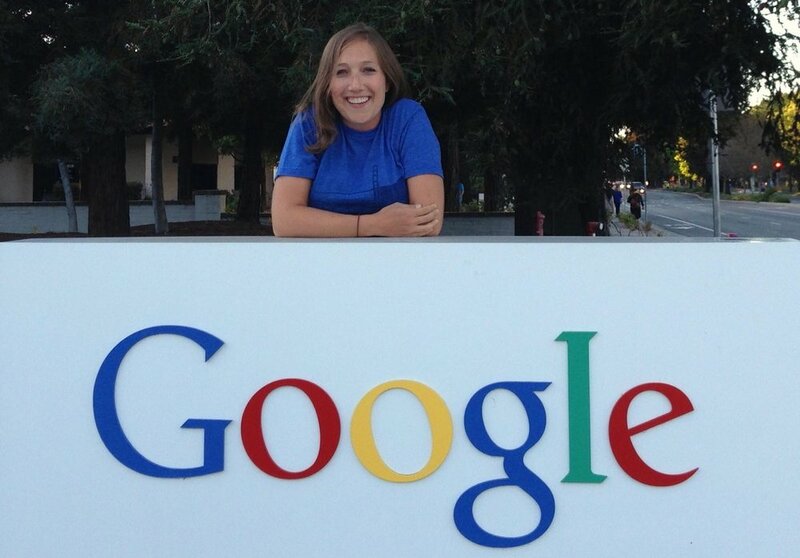 Now a Strategist at Google's San Fran HQ, Betsy catches us up on her current role and the path which led her there. DeacLink: Working at Google is a dream for many- what's your role in the San Fran office, and what sort of duties does it entail? Betsy Rives: I am a Strategist at Google within the Real Estate and Workplace Services team, the group that helps design Google’s built environment. Our organization touches everything from desk spaces to transportation and from the food program to local ecology. I am one of 6 Strategists, and we act as internal consultants for the org. We help to solve a wide variety of problems by designing research methodologies, organizational structures, internal technology platforms, and systems guidance. My day to day includes meetings with lots of different people throughout Google in order to carefully understand user needs and identifying areas for growth. DL: We understand you got an MBA from Yale. How was that? Did you enter hoping to achieve a particular goal? BR: I actually have two graduate school experiences. I received my MFA in Interrelated Media from MassArt in 2011, and I finished my MBA in Design and Innovation from Yale in 2017 (last May). These were two very different programs, and I entered each for different reasons and with different mindsets. I entered the MFA program only 1 year after graduating (which was too soon, Professors David Faber and Page Laughlin warned me as such). I started my MFA in the painting program and had the goal to simply make work and make connections. I did just that. I had a wonderful and intense experience, as David said, MFAs are like making 10 years of growth in only 2. The program was mentally challenging and played a huge role in how I think about problem solving, materials, and critical dialog. artists with the challenging process of budget creation. I didn’t know best practices around this type of work, so I decided to go back to school for my MBA. I did not have the slightest idea of what to expect in business school. Yale was a big culture shift for me. I quickly learned that there is a huge world of business leaders that highly value creative thinkers. My art background allowed me to quickly stand out within my cohort. I led the Design and Innovation group at Yale, which allowed me to leverage all of my Wake Forest skills in a new setting. DL: Did you feel prepared for life after undergrad as you exited WFU? (rightfully so), but I was a bit lost. I moved to DC because my sister lived there, and I soon found administrative work. I worked at George Washington University as a receptionist until I found a job as a Director of a gallery in Georgetown. I only worked at the gallery for a few months before the owner announced we would be closing due to the economy. I then found another role as an event planner in the legal field. All of the stress of job hunting and job hopping in the first 9 months after school motivated me to apply for grad school, despite not being fully ready. unpreparedness. I have had a lot of not-so- glamorous jobs since graduation (from scooping ice cream to crowd-control), but the terrific experience I had at Wake instilled a resilience in me and the assurance that everything will work out. DL: Throughout your journey, you've picked up tremendous amounts of experience; what advice sticks out to you the most? BR: The faculty in the art department provided some of the most stabilizing advice for my career. For example, I remember talking to Jen about how your 30s are so much better than your 20s. It seems silly to say, but I clung to that conversation as a promise that things would get better if I pushed myself throughout the uncertainty my 20s. Likewise, when I was finishing my MFA, I ran into David and Page in New York. Page suggested I move to LA because I was completely lost, and she responded to my skepticism by confidently saying that I could make it work. I followed Page’s advice, and I frequently told myself throughout that tough transition to Los Angeles that I only needed one person to believe in me and I had Page. In fact, I knew I had all of the WFU community supporting me through the wisdom and personal support I received throughout my time at Wake.